I’ve been meaning to blog about this for a long time…. To be exact, almost a month! Well, I’ve got solid reasons…. Please do forgive me…. Few weeks back, my friend’s car got broken into and 4 of our bags were stolen…. Making matters worse, my purse was in my bag! Which means my identity card, driver’s license, money, bank card & student id are now all GONE!! Imagine the trauma I had to go through…. But my friend had it worse; her car was damaged too in addition to a missing purse! So another friend brought us to make our police report, and since its end of the week, we had to wait till the new week began before we could proceed to buying the police report to make our new IC and stuffs…. Thankfully I had a weekend back home and also with the following busy schedule, the traumatic feeling has somewhat been subsided…. But now, I don’t bring any bags to classes so as not to leave it in the car anymore…. The other day (to be exact, 2 months ago!! ), I came across this advertorial blogpost in fourfeetnine about snail creams which can help to reduce scaring…. sounds sceptical & unbelievable? Yea, I felt that way too…. Plus, it was an advertorial…. 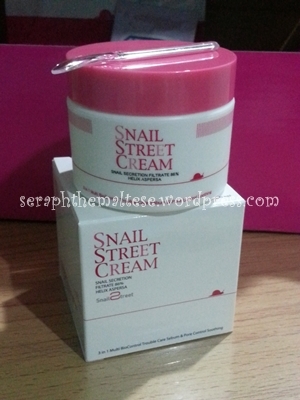 >.< But I was desperate, so I Googled about snail creams…. 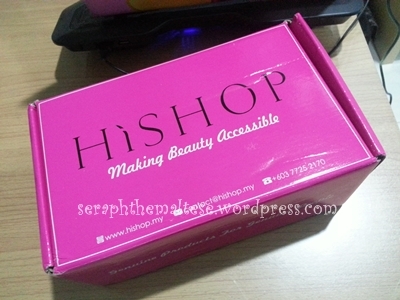 1 particular brand which can be found in Malaysia is from an online store called HiShop…. Which is the advertorial I saw…. *facepalm myself lmao* They carry the Snail Street brand which is from Japan…. Here’s the stuffs I received…. ^^ see those free samples? I haven’t tried the cream yet tho…. If it works, I’ll share the review with you guys! ^^ based on what I read online, let me just share a really short (and perhaps poor) summary…. I’ve read other reviews on this brand also, some people say that it works, some say that it doesn’t suit their skin…. I guess it’s kind of an individual thing, so I decided to give it a try…. Also now being the month of May, they are having sales for Mother’s Day…. More reason for you to shop some gifts for dearest mommy (and yourself while you’re at it!) teehee!